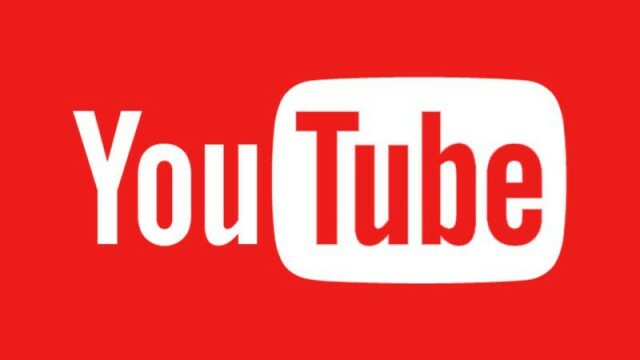 YouTube offers businesses the ability to connect meaningfully with their audience and build an engaged base of customers and prospects. The video sharing website has never been more popular. Today, over three billion hours of videos are watched per month, with an additional 300 hours of videos being added each minute. Yet, out of all the videos uploaded to YouTube, only a very small percentage generate more than a few hundred views; and only an elite few of those ultimately end up going viral. However, when done right, uploading videos can be big business. And not just for traditional organizations. The number of channels earning six figures each year on YouTube is increasing by 50 percent year on year. According to a 2014 Variety survey, the stars of YouTube’s most popular channels, such as Swede Felix Kjellberg’s PewDiePie and Germán Aranis’ HolaSoyGerman, are now more influential and popular than mainstream celebrities among teenagers, so they need to be taken seriously by marketers. Now is the time to sit up and take notice. According to Nielsen data, Americans watch about 1.25 billion hours of TV every day, yet that figure is declining year-on-year. Compare this to YouTube. The online video platform has seen a 10-fold increase in viewership over the past five years -- due in part to the use of artificial intelligence to predict user preferences and keep people tuned in. This has meant that YouTube looks set to soon surpass TV as the most watched format in the U.S. When it comes to measuring a video’s success on YouTube, it's not just about the number of views, but rather the quality of engagement with your audience. This can be measured by how much of your video someone watches before clicking out of it, the percentage of people who watch your entire video, the number of people who "like" your video, the number of comments a video receives, and the percentage of people who follow through with the video's call to action. In tandem with this, YouTube itself ranks videos very differently to how it did in the past. It used to be just down to the number of views that a video received. Now, however, YouTube tracks a video’s quality of engagement, with more weight being placed on a video’s engagement time, how many people subscribe to the channel, and the likes and comments a video gets. What makes some channels more popular than others is often put down to a mixture of click bait and having an aesthetically pleasing host. However, the reason that some channels gain significantly more views than others is less down to the content of the video and more about the nuances of how they are presented. The audio of the video can be more telling than simply looking at the images flickering before you. By truly listening to what is being said, including the tone and context found between the simple lines of speech, businesses and channel owners can predict which videos will be ignored and which will become top of the viral charts. Even if your video has a top-notch production value and cost a fortune to produce, this doesn't in any way guarantee an audience. In our experience, videos containing strong emotions on one side of the scale or the other -- such as excitement, enthusiasm, fear or disgust -- have more potential to reach a large audience than videos that contain emotions such as panic or boredom. Having a video that is based on strong positive or negative emotions means that it will garner the most social interaction through comments and sharing. Put simply, enthusiasm is contagious. This is, perhaps, typified most by the hugely popular unboxing or haul videos. Whilst it is simply a video where the audience watches someone open a box, the person is generally very excited about the content. The good news is that such videos are not only hugely popular, but relatively easy to make. It is not a case of what is spoken, but how it is spoken. In the future, savvy business and YouTubers should run an automatic emotion classifier on their videos prior to uploading them into the ether. The natural successor to the speech recognition technology we have seen vastly improve on our mobile devices during the last decade; the technique for applying automatic emotion recognition is becoming increasingly popular in many businesses applications such as customer satisfaction analysis, call centers optimization, targeted advertising, and automated media classification. The technique for creating a strong emotional reaction has been used within television advertising for years. This year’s SuperBowl commercial roster was full of adverts designed to garner strong reactions and conversations on social media. One such adverts was Budweiser's "Born The Hard Way," which told the story of parent company Anheuser-Busch's immigrant founder coming to America with a dream to brew a better beer. On the company’s Facebook page, the spot garnered 10 million views and over 12,000 comments, 50.2 percent of which expressed a strong emotion themselves. By applying automatic emotion classification, YouTubers will be able to ascertain how positively the video is likely to be perceived by the audience and how much potential it has to turn viral. This way, they can maintain the brand of the channel they are trying to purvey and ensure that they are expending energy and marketing dollars in the right areas.